Imagine that the buzzer to end the first half has just sounded. The game is going to be a real barn burner. The teams are tied at halftime and there is no sign of either team gaining an advantage any time soon. The gym is filled with spectators, and the atmosphere is electric. You can’t wait to start the second half. Now imagine another scenario. The buzzer to end the first half has just sounded. The spread is 20 points at halftime, and the score is much closer than the action on the court suggests. Few fans occupy the seats; most of them seem to be more interested in the concession stand than the game. It could be a long second half. 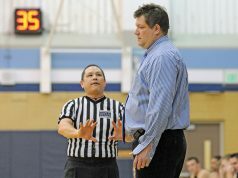 Undoubtedly you have officiated both types of games. While those two games may seem worlds apart, the fact is that they are not. Both games have one thing in common — the success or failure of the officiating crew depends on what happens in the officials’ locker room during the halftime conference and on the court in the second half. Every official learns the importance of the pregame conference as one of the foundations of successful officiating. There are even laminated cards that organize all of the items to be addressed in the pregame conference. Postgame analysis receives similar emphasis. 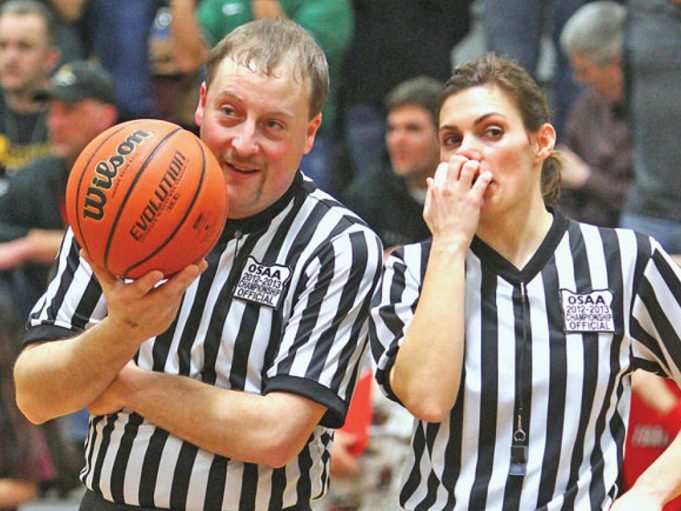 Videotape and postgame breakdowns have become very valuable tools to officials.